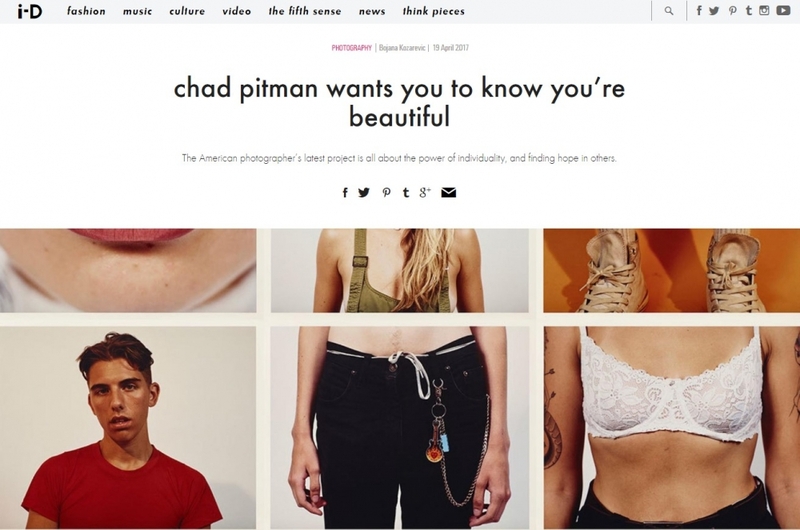 Exploring and commenting on our selfie-obsessed world, American photographer Chad Pitman's latest and ongoing body of work, People: In Progress, sees him explore beauty, truth and yes, people. Debuted at LA's Fahey Klein Gallery in April, Pitman has photographed 50 people with a nostalgic, honest and unforgiving eye. The simple grace of the photographer's images, and their insistence on heartfelt intimacy, is a beautiful reminder that individuality is everything. i-D met Chad Pitman to learn more about his life, process and the joy of blending in to the background. I was in college. At the time I was studying biology, maybe going to be a doctor, but I really wanted to get into this photography class. I had no business being in biology, to be honest, and I told the photo teacher just that. I was quickly realising that the only reason I was in school was to take this photo course, and that if I didn't get into it, then I might as well drop out. I got in, but dropped out of that college anyway, but went to study photography full time somewhere else. I haven't looked back.